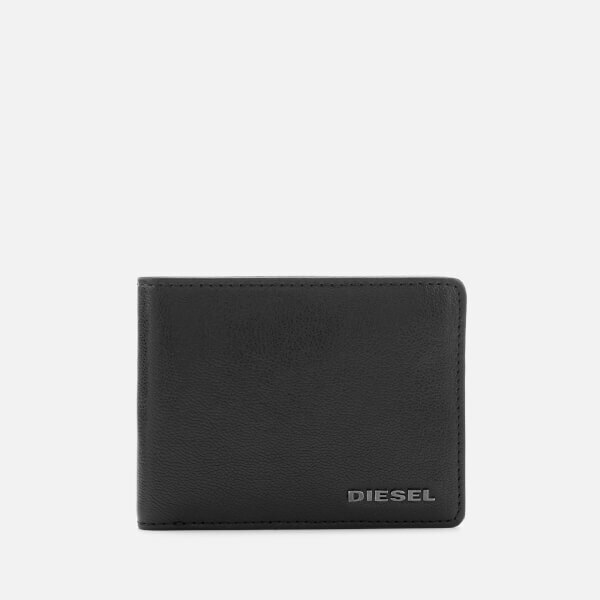 Men’s black leather ‘Neela’ wallet from Italian label, Diesel. 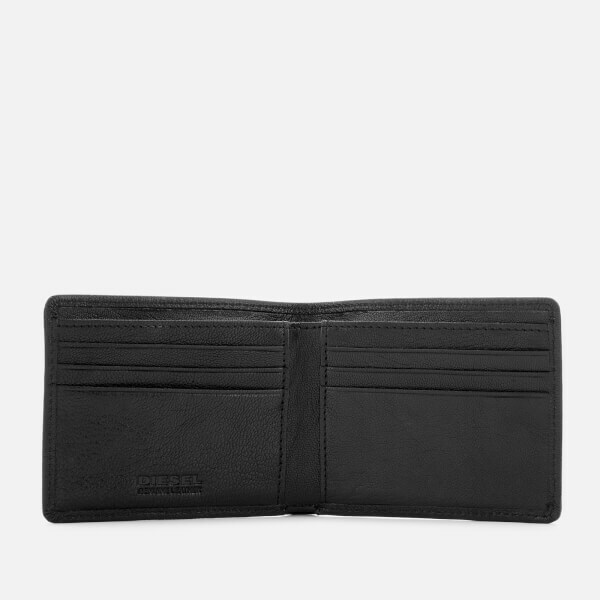 Crafted from soft full-grain goat leather that will develop a rich patina over time, the bi-fold wallet features a full-length, lined note compartment, six card slots and two side-entry slip pockets. 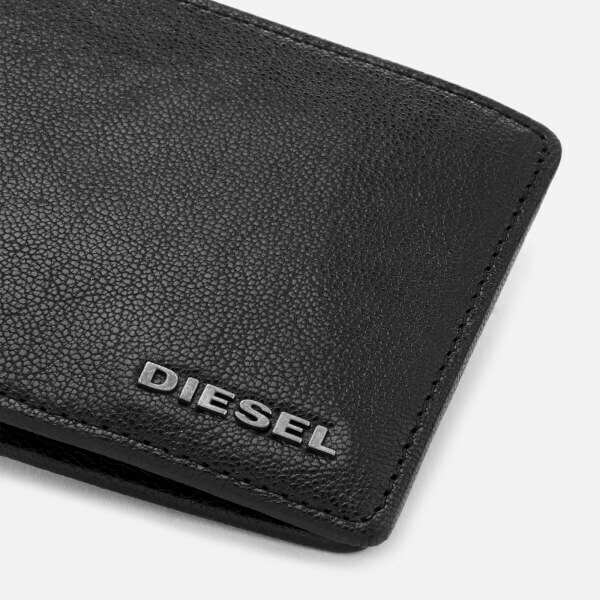 Complete with embossed branding to the interior and a metal appliqué logo at the front. 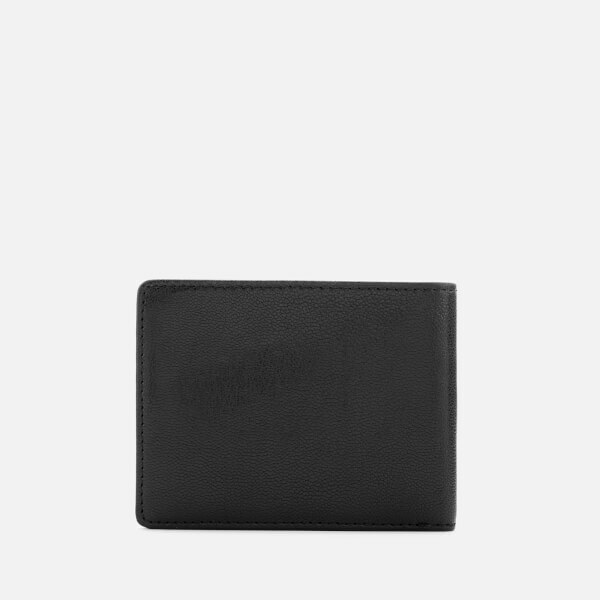 Presented in a sleek box, the wallet is complete with embossed branding to the interior and an appliqué zinc logo at the front.